Accounting Services come in different forms. They provide you with some obvious benefits but some things might not be so obvious. Bookkeepers and providers of Bookkeeping services will offer you a variety of services that they believe will give you the administrative support that you need for your business. But not all services are the same and neither are the people who provide these services. The services provided by an accountant often known as Accounting Services, offer you a plethora of add on's that can usually help you with Bookkeeping, Company Accounts, VAT Returns, Payroll and the Secretarial Administration of your company. Accounting Services incorporate some sort of bookkeeping as part of the accounting process used to create and deliver the service they provide. You can get advice and guidance from your accountant giving you help with matters related to your business in general. To make things better you can be sure that your Company Accounts, Tax Returns, VAT Returns and Corporation Tax Returns should all be taken care of by the same accountant. In principle it sounds good to have a single accountant take care of everything for you, making it more cost effective for you and in theory more streamlined. It also benefits you because most accountants ask you for a fixed fee payment each month to provide you with the services they have promised. This means you don't have to look around for a third person to help you fulfil the company statutory filing requirements at the end of each year. However, Accounting Services are not always everything they claim to be and often leave you with more work to do on behalf of the accountant than you think necessary. Furthermore the manner in which your paperwork is actually processed is not always the way you would expect. The standard of Bookkeeping in effect is not usually very high. As such HMRC Inspections for VAT and Compliance take longer. The format of the paperwork provided by the accountant often invites more questions from the inspecting officer appointed by HMRC. This increases the length of any inspection and potentially increases the scope of any inspection. As a knock on effect this inevitably increases the amount of money you pay the accountant for the work that is done. The advice that you get from your accountant is usually very welcome, but the emphasis of putting things in to action is on you. So you are left chasing the accountant to make sure the Accounting Services you have been promised are actually put in place, such as Tax Efficiency Strategies or getting registered for something with HMRC. Surely there could be a better way? The services provided by a Bookkeeper can seem like the missing link between accounting for tax and accounting for profit, but this is also a double edged sword. On the one hand having a good Bookkeeper means that you have someone who usually visits you at your premises and processes all of the paperwork for you. Giving you a Sales Ledger and a Purchase Ledger and also dealing with the VAT Returns on your behalf. Bookkeepers usually also have a very good process of actually putting your paperwork in order. Leaving it in an indexed presentable manner which makes HMRC Inspections just that little bit more efficient. Furthermore as the Bookkeeper is at your premises it means they are available for you to talk to. There is nothing better than personal contact with a professional to help you manage your business more efficiently. So you might think that a Bookkeeper is the perfect solution, but wait hold on. Not so fast. Let us explore some of the problems associated with this sort of service. Bookkeepers are notorious for being rather costly. The work done by a Bookkeeper is usually done over one or two days a week meaning that a lot of your business has to work around them. Bookkeepers will do the work but are usually reluctant to give you the advice you need. Its is easy for a Bookkeeper to just tell you to talk to an accountant and also recommend an accountant. This just makes you spend more money paying for an extra service from another person. Also Bookkeepers are usually Self Employed meaning that they are their own boss. This can leave you stranded when a Bookkeeper decides not to turn up one day or if they are genuinely poorly. This is made worse when you must pay extra for add on services that the Bookkeeper can provide which you later realise an accountant might also provide for free. What you really need is an accountant who can provide you with the best bookkeeping service possible. It is vital for the accuracy of your accounts and all the reporting you do to HMRC, that your bookkeeping is precise and methodical. This in turn enables the actual accountant to do the job they should be doing. Rather than an Accounting Service what you need is an Accounting Solution. Rather than a Bookkeeping Service what you need is a Bookkeeping Solution. Giving you updates and reminders of when things are due such as VAT Returns and Tax returns or Company Accounts. Keeping you up to date. Making sure your Accounts & Tax Returns are submitted early rather than just in time. This guarantees you avoid any late filing penalties. Keeping your Cash Flow burden to a minimum. Helping you understand your business, your market, your demographic and your scope to maximise your revenue. Showing an interest in your growth. 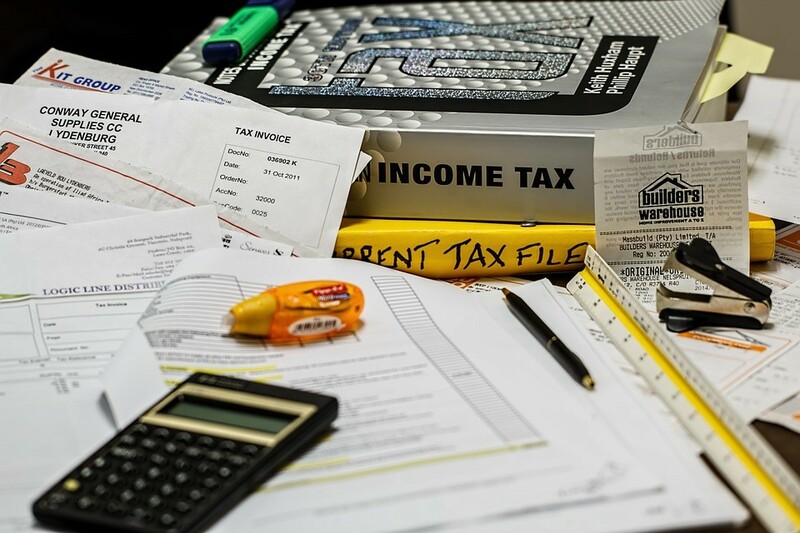 Getting your Accounts structured in a manner which is Tax Efficient. Taking advantage of every allowance and protecting your business from any ridiculously large Cash Flow burdens imposed upon you by HMRC. Because you need this help! Teaching you how to take advantage of everything you can legally do. As this is a fundamental aspect of your life. Increasing your wealth rapidly and in real time as opposed to relying on long term investments with low returns. You should be able to enjoy what you earn now and later! Regular contact with you to process your paperwork on a monthly or quarterly basis. So you know the work is getting done. Useful reports being provided to you either VAT Returns, or Management Accounts. This helps you see how your business is performing. Presenting your paperwork to you in an Orderly & Standardised fashion with key aspects of information highlighted for your convenience. Giving you confidence in the accuracy of the work being done on your behalf. This also helps to expedite HMRC inspections. Ensuring your Accounts are processed correctly and accordingly taking in to account any Tax efficiency Strategies you have incorporated in to your businesses. So you can be sure that from start to finish you are operating in an Efficient and Compliant manner. Taking you paperwork away to be processed with a clear guidelines of the processing timeline. Helping you keep confidential information safe and avoiding clutter in your work space. Providing you with a point of contact. Someone who understands your business and your industry sector. You need to be confident that you can really talk to someone who can provide tangible operational solutions. Ultimately what you need is a Solution that provides you with the best Accounting Advice and the best Bookkeeping Process that you can possibly find. What you need is an accountant that you can be sure has the right tools, resources, qualifications and experience to handle your business. You need an Accountant that will surprise you with information you did not know and dazzle you with content you need to know. What you and your business really needs is what Tax50 does best! Tax50 gives you Accounting Solutions and Bookkeeping Solutions fully incorporated and integrated in to all the work that is done for you. The Standard of Bookkeeping is second to none. This incorporated with the Accounting Solutions will give you peace of mind knowing that your business, your company and your personal affairs have been tangibly made Tax Efficient. LOOKING FOR AN ACCOUNTANT TO HELP YOU WITH HMRC? LOOKING FOR AN ACCOUNTANT TO HELP YOU WITH YOUR BUSINESS?